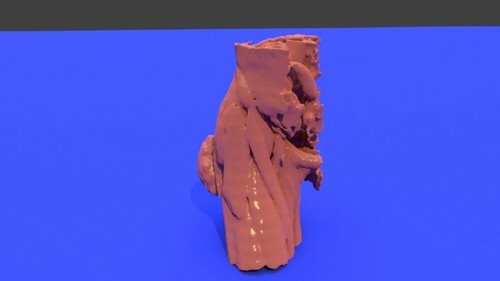 This 3D model represents a case of epithelioid sarcoma with vascular differentiation implicating the right buttock region of a 57 years old female. The patient represented with lung metastasis and was treated by surgical excision follower by chemotherapy as well as radiotherapy. A cross sectional CT image is attached showing the lesion in axial, coronal and sagittal planes. Epithelioid sarcoma is a rare soft tissue tumor with unclear histogenesis that is often mistaken for a chronic inflammatory process or necrotizing granuloma due to its innocuous presentation as well as unusual both epithelial and mesenchymal differentiation.